Your View Marketing specialises in small to medium business marketing where clients are looking to engage in promotional activity. You may be in a growth period or hoping to initiate one, but either way Your View can assist. It’s the perfect solution to test drive the marketing world without having to take on a full time staff member. 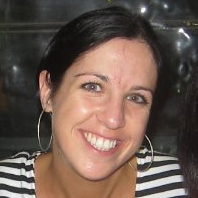 Founder, Jodie Steele, has over 16 years’ experience in Marketing & Events, in both locally the Australian and New Zealand markets, as well as worldwide export product involvement.